If you could only own one car other than your daily driver what car would it be? Re: If you could only own one car other than your daily driver what car would it be? In no particular order. Jaguar D Type, Mercedes 300 SL or a '64 Shelby Cobra 289.
having to narrow it down to just one is what makes it hard. I need something that I can get roof racks on to carry my ladders and my Greyhound likes to go for long rides so it needs a back seat where she can stand up. I need a gps since I get lost all of the time. Something that can go off road so I can go around the traffic and get somewhere today...not tomorrow. Any suggestions? I'm thinking a Mini pickups ort of thing? Supercharged of course. * for those not versed in Bow Tie minutiae, this was the factory twin turbo option Chevrolet developed with Callaway engineering. I would love to have an original GT-40 or the prewar Banger Hotrod I have now! I love that roadster! 32 Ford? Thanks, its an original old rust bucket 1931! not the fastest, but a lot of fun to drive and a little scary at 70mph! A Citroën Deux Chevaux with wicker seats. Daytona coupe with a 288 Ferrari GTO coming in a close second. What I would like is to have the resources to keep my KR convertible in excellent condition AND be able to drive it everywhere without any concerns. ^^^ Yes. I've been watching this thread, but am frequently subject to "paralysis by analysis" and can't quite wrap my head around all of the possible parameters and consequences? I love my Tiger and have always said that a real Cobra and GT40 are dream cars. However, in this case, based on pure enjoyment... I'm gonna agree with Rocket and say Grumpy's old '66 Convertible - i think that blue is iconic. 71 scj convertible. 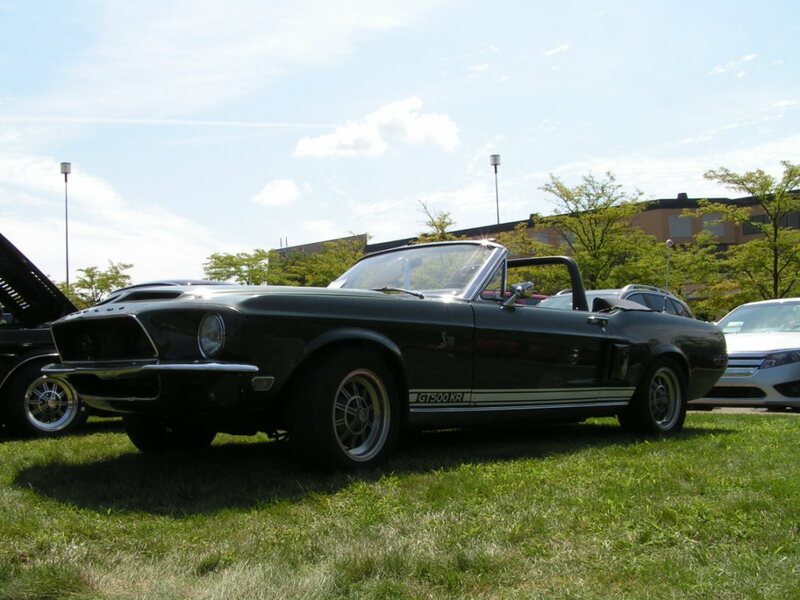 Why: 1) my first car was a brand new 71 mustang, and 2) I never could have afforded a convertible, let alone one that can perform like a modern day high performance car...in a 48 year old package. "What's behind you, doesn't matter"
If that pic of 1971 SCJ convertible is an auto, it’s my old car lol. Ford only made one. Bang on. Still runs like a dream (mind you it is -25 today, so it will be a few months until it sees the sun again).